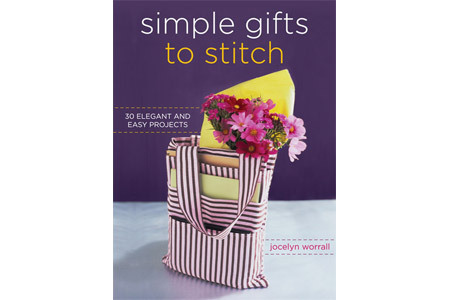 Earlier this summer, I received a copy of the new book Simple Gifts to Stitch: 30 Elegant and Easy Projects by Jocelyn Worall. There are some wonderful home and baby sewing projects in here for varying skill levels, as well as some helpful sewing tips (and my favorite - a glossary of fabric terms). There are a few projects in here I think I'll try in the future - particularly around holiday gift-making time. 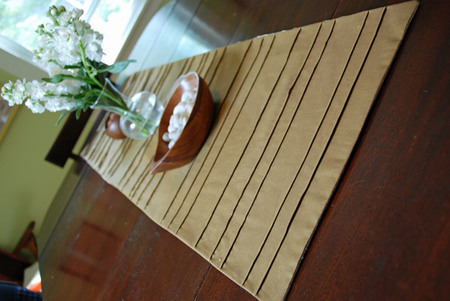 But right away, the first project that grabbed my attention was the Pintucked Table Runner. Something about pintucks pleases me to no end. I can't explain it - but the same thing goes for pleats and gathers. Strange, I know. 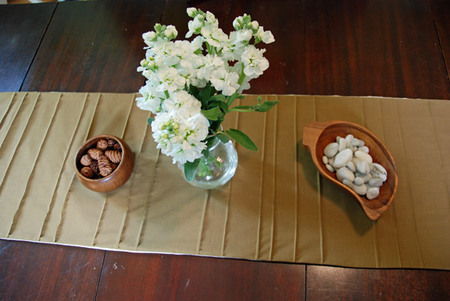 The pattern called for linen, but I didn't have enough linen to make a runner the length I wanted, so I went for some crisp shirting fabric I had on hand, and used muslin as the backing. I'm pleased with how it turned out - the directions were easy to follow and it worked well with the fabric substitution too. Ah, pintucks, how I love thee.